Exclaim! 's Groove section covers not so much a style of music as a perspective. It's a section that starts with African-American culture, especially as it has influenced dance floors over time, follows it around the world, then back to this continent. This year's best-of list is marked by examples of continued invention within American R&B/soul, which have found great consensus among our critics. Seven of the ten artists represented here fall into that tradition. Our No. 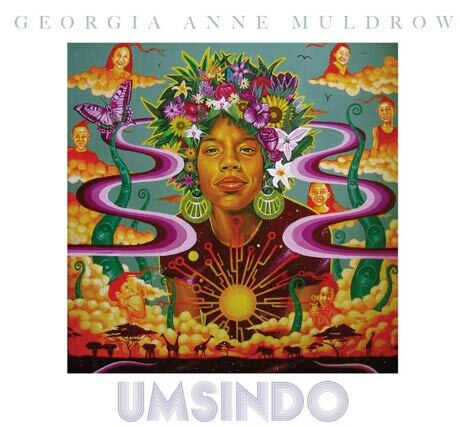 1 album, Umsindo, by Georgia Anne Muldrow, is a beacon of what constitutes soul these days, and is perfectly representative of the Groove section. To hear what we mean, you can listen to the album here on Exclaim.ca, where it will be streaming all week. Muldrow is a singular combination of jazz, electronics, African influences, pop and an abstract sensibility all bound up with profound soulfulness. Umsindo isn't an easy listen, and to call it nu-soul misses the point. This actually an unheard expression of soul music, as challenging as the changes wrested upon the music in the post Hot Buttered Soul era, which radically redefined the arrangements, instrumentation and subject matter of African-American music. Other Groove year-end picks like the albums by Maxwell and PPP are easier to get down with (either vertically or horizontally), but still daring statements by artists sticking to their respective visions. Both continue to dig deeply to express themselves with a mixture of soul signifiers and modern production hooks. This leads us to the worlds of Mayer Hawthorne, Alice Russell and Nino Moschella. To varying degrees, these are all left-field soul classics that carefully incorporate the retro spirit of the music into wholly original statements. Finally, soul music has been a key part of African pop music for decades. This year, Oumou Sangare came back strong with an album that referenced music from across the Americas, and featured James Brown's one time bandleader Pee Wee Ellis making important contributions. Amadou and Mariam's happy crossover sound is punctuated by Amadou's bluesy guitar leads. And Britain's the Very Best followed up their genre defying mixtape from 2008 with a Malawi-centric mix of original dance-floor and headphone beats. Georgia Anne Muldrow's Umsindo will be streaming on Exclaim.ca until December 28.